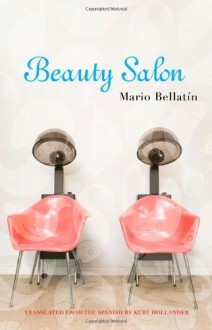 "Like much of Mr. Bellatin’s work, Beauty Salon is pithy, allegorical and profoundly disturbing, with a plot that evokes The Plague by Camus or Blindness by José Saramago." --New York Times"Including a few details that may linger uncomfortably with the reader for a long time, this is contemporary naturalism as disturbing as it gets." --BooklistA strange plague appears in a large city. Rejected by family and friends, some of the sick have nowhere to finish out their days until a hair stylist decides to offer refuge. He ends up converting his beauty shop, which he’s filled with tanks of exotic fish, into a sort of medieval hospice. As his “guests” continue to arrive and to die, his isolation becomes more and more complete in this dream-hazy parable by one of Mexico’s cutting-edge literary stars.Mario Bellatin, the author of numerous short novels, was born in Mexico City in 1960. In 2000, Beauty Salon was nominated for the Médicis Prize for best novel translated into French. This is its first translation into English.